Chelsea stars were gathered at the club's training center to hold an emergency meeting reviewing their performance that led to the 6-0 mauling by Manchester City. The defeat was the first in the in history of the club in over 28 years as they also slipped sixth on the Premier League table. Maurizio Sarri's men scored five goals and conceded twelve in their last four EPL matches having suffered 4-0 defeat to Bournemouth in their previous game. The Blues fans have however turned on the coach they hired last summer with the poor results in his last few games. SunSport reports that the players were in a disturbing mood as they hope to bounce back to winning ways in their next game. Chelsea return to action this Thursday when they clash against Malmo FF in the Europa League as they plan to continue their impressive run in Europe. Though, it was unsure according to the publication if the manager was in the meeting, barely one day after admitting his position at Stamford Bridge could be on the line. 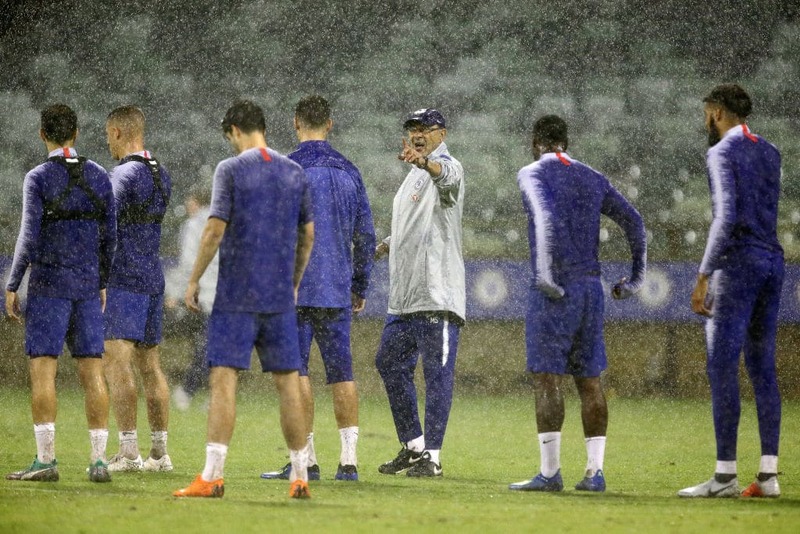 Sarri has openly criticised his squad this season, saying they are hard to motivate following their performances over regaining a Champions League spot this campaign. Chelsea captain Azpilicueta admitted: "It is one of the worst nights in my career. It is difficult to explain what happened. "We are conceding a lot of goals and we cannot accept that. All I can do is apologise to the fans because it is not acceptable." Sarri has a chance of taking revenge against Man City in their EFL Cup final later this month after the match that he is worried about the performance of his team. He said on Sunday: "You are asking me [about] something which is not my job. I am worried about our performances, not about the club. You'd have to ask the club. "I want to study, I want to understand. I do my best and the players do their best. For the moment I have to say only sorry." Legit.ng earlier reported that Manchester City thrashed Chelsea 6-0 in one of Sunday's Premier League encounters. A Sergio Aguero's hat-trick, while Raheem Sterling's brace and Ilkay Gundogan's lone strike completed the routing. The Citizens are now back to the English topflight table with 65 points after 27 games and will hope they can maintain that until the end of the season.